in collaboration with LINC News Bureau | Lifting up the voice of the community. Each day I transfer to route 7 which takes me to my work site. On this bus, I met a young mother with two small children, a 4 year old and an infant baby boy about 6 or 7 months old. Tashaun, the 4 year old, he has become my new found friend. He talks to me all the way until we both get off at the same stop. Some mornings I can’t get a word in edgewise, so I do more listening than talking for he has a lot to say, and I enjoy his chitter chatter. His mother is a caring and nurturing mom. As she heads to work she takes Tashaun to preschool and the baby, who never cries or frets and is always smiling, is off to the sitter. Every morning I bring the 4 year old a small bag of treats. Usually a cereal bar, fruit trail mix or a piece of chocolate or a cookie. I look forward to seeing them every morning. It’s been a pleasure to have met this family and through my eyes it is encouraging to see a young family being attentive, and caring, raising their children with tender, positive attitudes. After several years of riding the bus, since I don’t drive anymore, I thought I was pretty good at reading people. Evidently, I didn’t read this group of young students very accurately when sharing a bus ride one day. There were about 9 to 10 teenage boys and girls. While we all waited to board our bus, a long line had formed. As the doors opened, one of the young men told the others to wait and ushered me and another elderly person on first. I was pleased and surprised. This was done with the utmost respect and consideration. The young man’s actions actually made my bus ride home that day. The best ride in a while. I thanked the young man and he said, “You’re welcome ma’am, I’d hope that someone would do the same for my mother." When I first saw the group of young people, I noticed the young men’s pants were sagging around their thighs and right away I figured that would come with a foul mouth and rowdy attitude. But to my surprise, I really misread this group. They had respect for themselves, as well as their seniors and the people around them. I’ll leave you with this: sometimes things aren’t always what they seem, and to judge is to be judged. 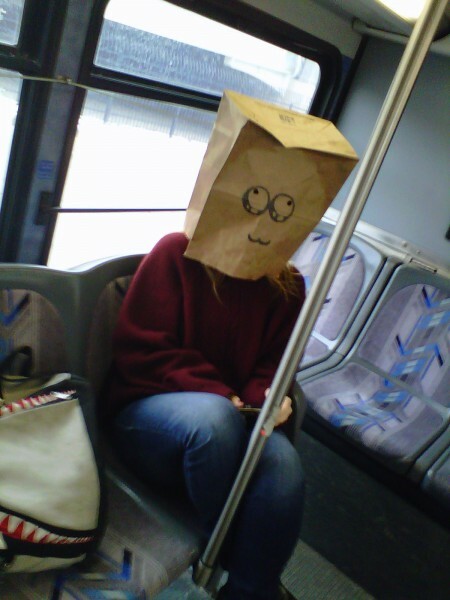 I learned a valuable lesson that day on the bus: perception of what you see might not always be what you’ve seen.